Earth Day has a whole new meaning when you can actually HUG the Earth! My children (3.5 and 2) have enjoyed having Hugg-A-Planet Earth join us in many of our everyday activities and we used this product from For Small Hands to share with our children the importance of caring for and loving Earth! 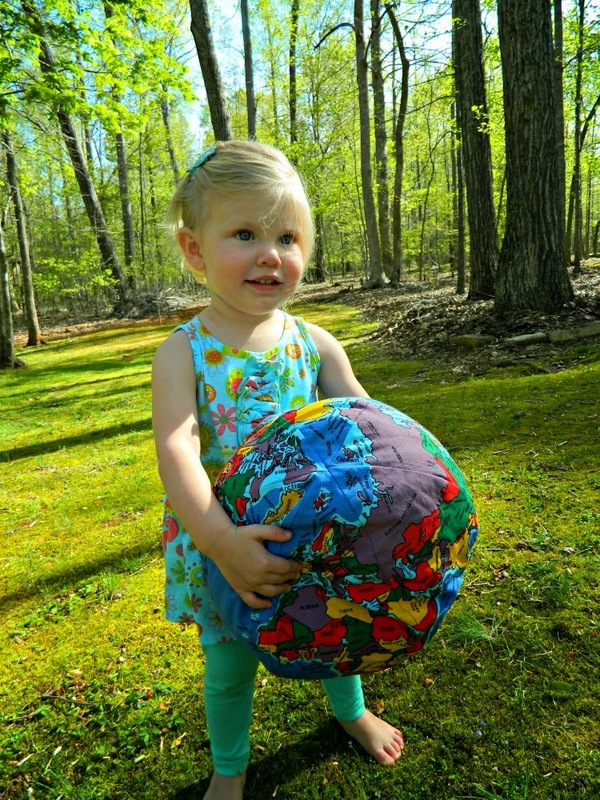 For Small Hands provided me with the opportunity to review another of their amazing products, Hugg-A-Planet Earth Classic. 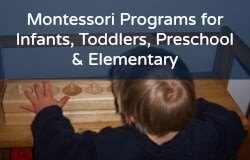 We have been working on getting more Montessori materials in our collection geared toward our two year old daughter. 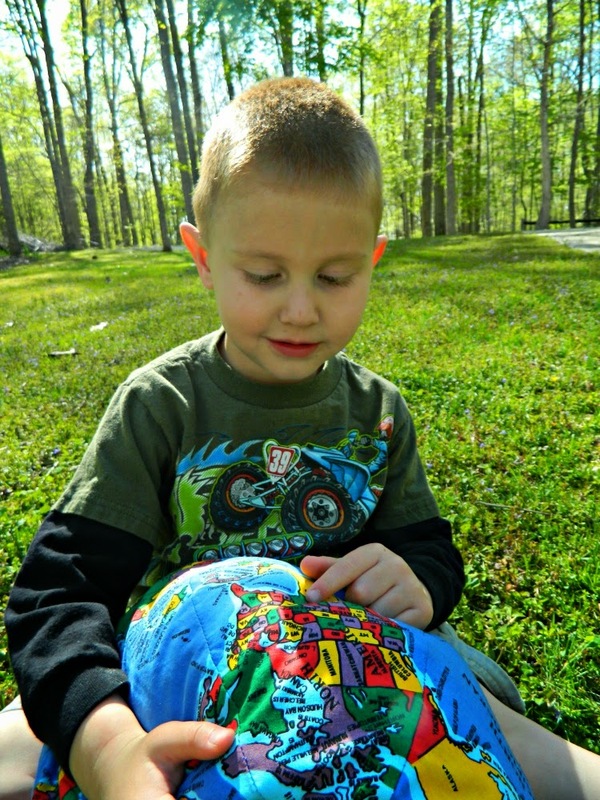 This Earth is made for children 0-6 years of age and is a pillow with over 600 identifiable places printed with vibrant colors. We have found many uses for our Hugg-A-Planet! 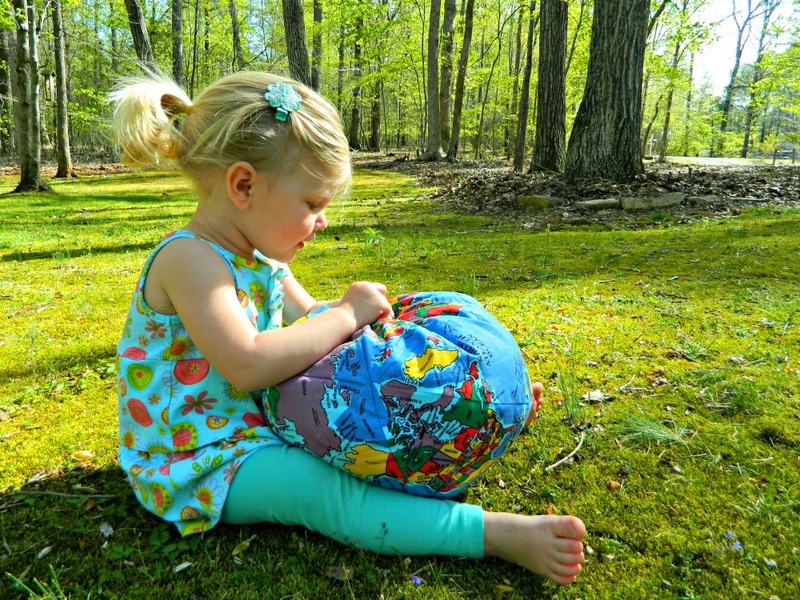 Avalyn (2 years old) loves to use our Hugg-A-Planet Earth for color identification. Her favorite color recently is yellow and she loves to practice saying it and is so proud to point out the beautiful color yellow in Africa. I use this plush pillow to help with a movement activity outside. 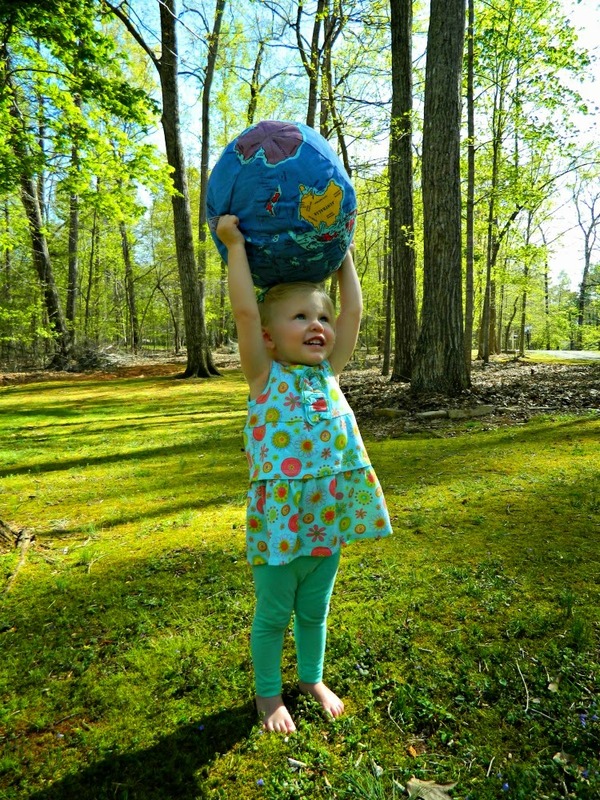 Avalyn is reaching as far as she can to the sky while using the Hugg-A-Planet Earth for balance. Then we talked about Earth Day and the importance of loving the Earth. We ended her very informal lesson with a BIG HUG for our Hugg-A-Planet Earth! Hugg-A-Planet Earth has really kick started our geography learning for Samuel (3.5). Here he points to Texas, which is labeled on the pillow, to identify his birth state. We also use our Earth pillow to identify where family members live in other states and where our favorite vacation spots are in SC and FL! 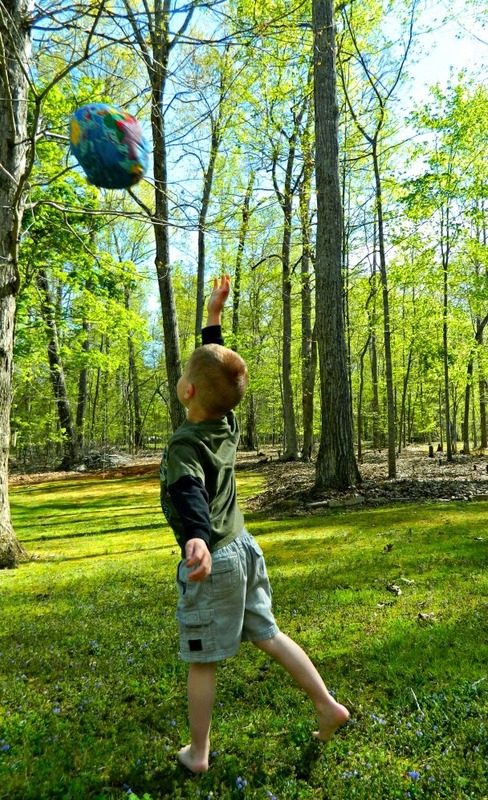 Samuel's movement exercise was to throw Hugg-A-Planet Earth in the air and try to catch it. With such a plush product there is little worry of it landing on feet or heads! 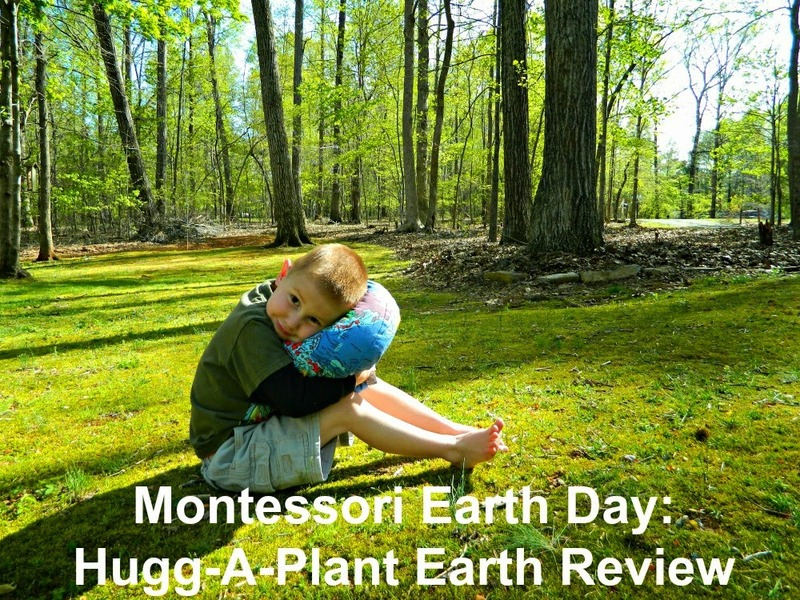 We are so happy to have the Hugg-A-Planet Earth as a part of our Montessori collection. 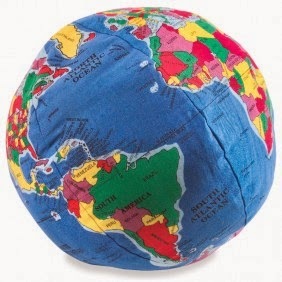 Hugg-A-Planet Earth Classic (item number C202) can be found at For Small Hands. I received these products for free for the purpose of writing a review for For Small Hands, and with whom I am also an affiliate. I get a small commission if you purchase the products, or any other materials, from the links provided in this blog. Thank you!